Foss Fine Art is delighted to invite you to ‘Isles of Colour and Light’, the stunning solo exhibition by Nicola Rose. This series of paintings are a response to the artist’s fascination with powerful seas, dramatic skies and jagged rock or cliff edges where land meets water. 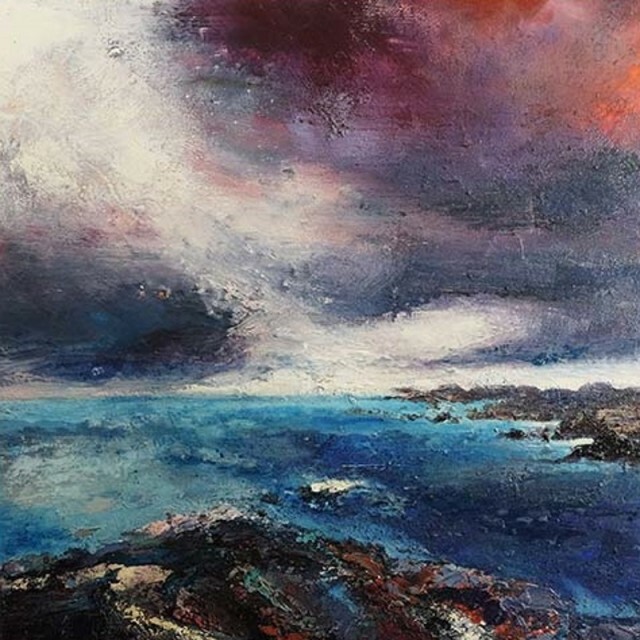 This is a new body of work that Rose developed during her time on the Scottish Isles of Mull and Iona this Autumn, and the resulting works reflect the ever changing quality of light, colour and personal connection with the spiritual isolation of these beautiful islands.